Well at least I think it’s what they’re called. I bought these back in 2009, and I can’t find them on the Hestra website any longer – the closest equivalent I can see is the CZone Alpine Short. 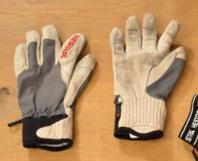 They’re a great all round glove for warmer conditions. I use them for spring skiing, as well as hiking on cooler days. 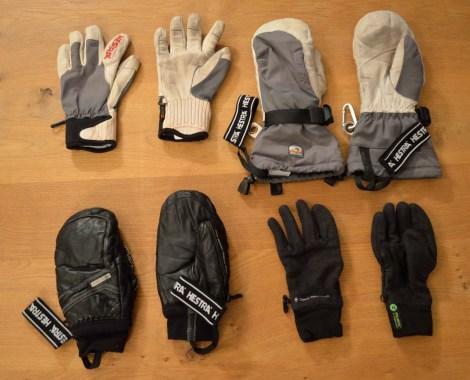 I also used them when I went ice climbing a couple of years ago. I’ve been surprised at how well they’ve worn as they’ve had a lot of use. These are my go to glove when it gets really cold. They’re the first pair of mittens I bought after not having worn mittens for years, I used to hate wearing them as a child but now I can see the benefits! 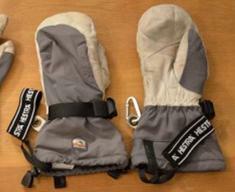 I bought them after I got really cold hands at Lake Louise back in December 2008. They fit over the the cuffs of your jacket and the elastic drawstring keeps them snug, so your hands are well-protected from the cold. The insulation in them has packed out a little now, so I wear a liner with them when it gets really cold. These are my favourite pair of mittens for skiing in. They’re just the right balance of being warm enough for sitting on a chairlift heading up the mountain, and cool enough so your hands don’t get too hot whilst skiing back down to the base of the mountain. They have a short cuff which fits inside the sleeves of your jacket, as well as loops to keep a hold of them so you don’t lose them when you’re on a chair lift. These are a great pair of everyday glove. 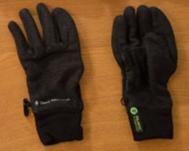 They’re a wool/synthetic blend, and are perfect for when you’re on a hike and it’s just cold enough to need to wear gloves. These are also a great pair for wearing around town and the leather covering on the palm makes them just that bit more hard wearing. 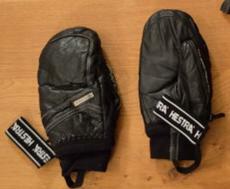 If it’s really cold they are just the right thickness to fir snugly inside my pair of Hestra Army Leather Extreme Mitts. I always carry mitts or gloves – especially this time of year, you never know!